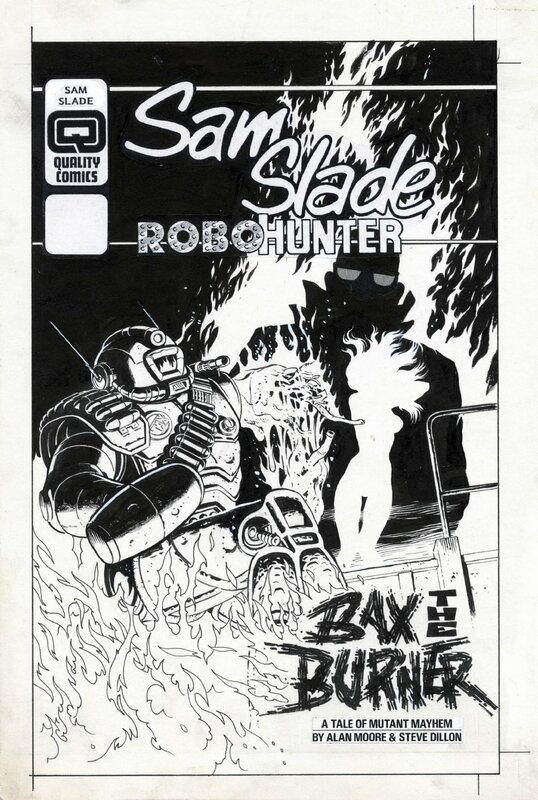 Superb cover from Garry Leach, famed artist for reinventing MARVEL/MIRACLE MAN with Alan Moore. 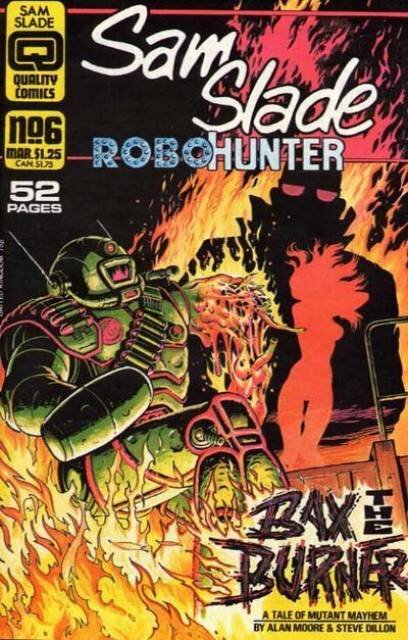 This cover is particularly special as Garry is drawing the Alan Moore ABC Warriors story, 'Bax the Burner' reprinted in this issue. a rare Leach/Moore reunion! Art is in very fine condition, on art board, 26 X 38 cm.